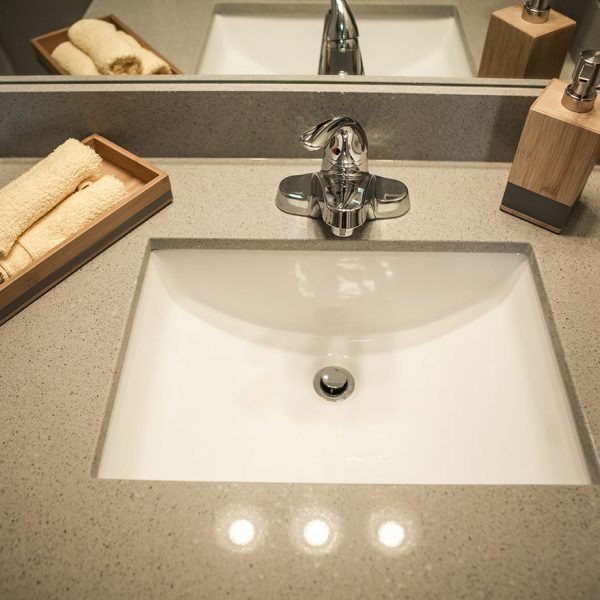 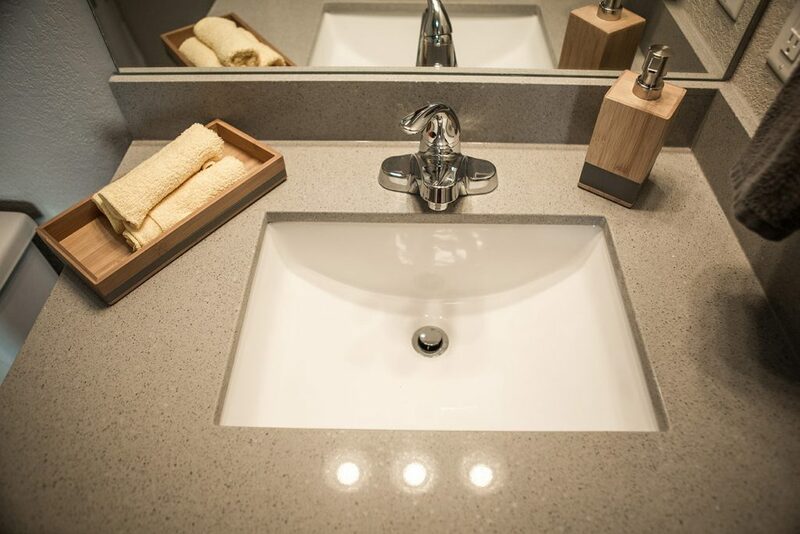 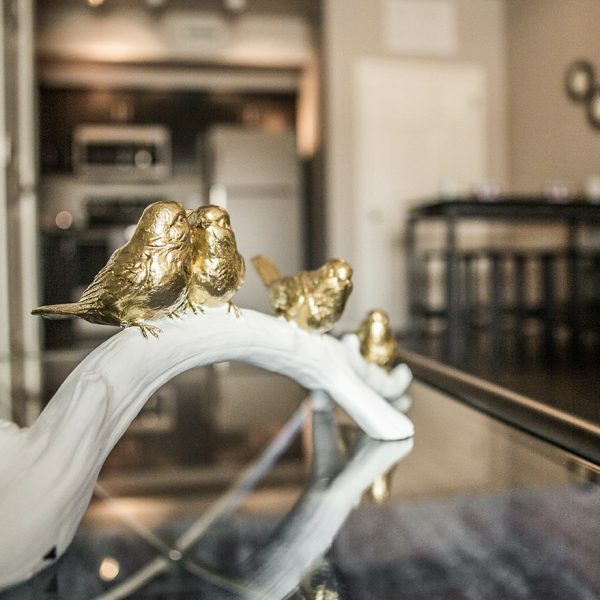 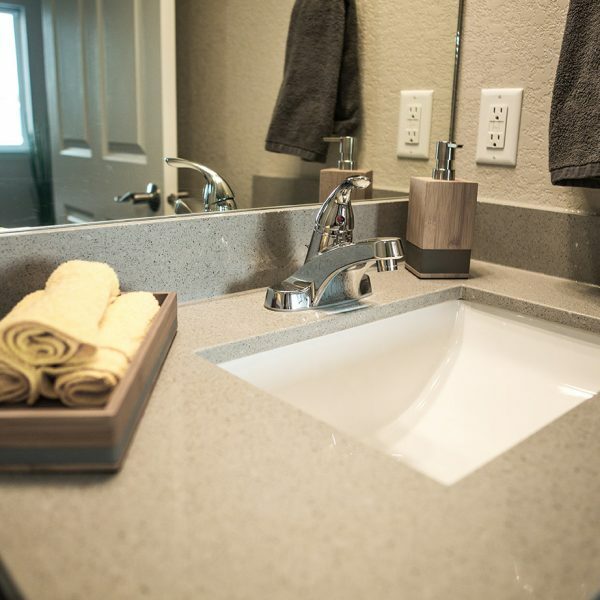 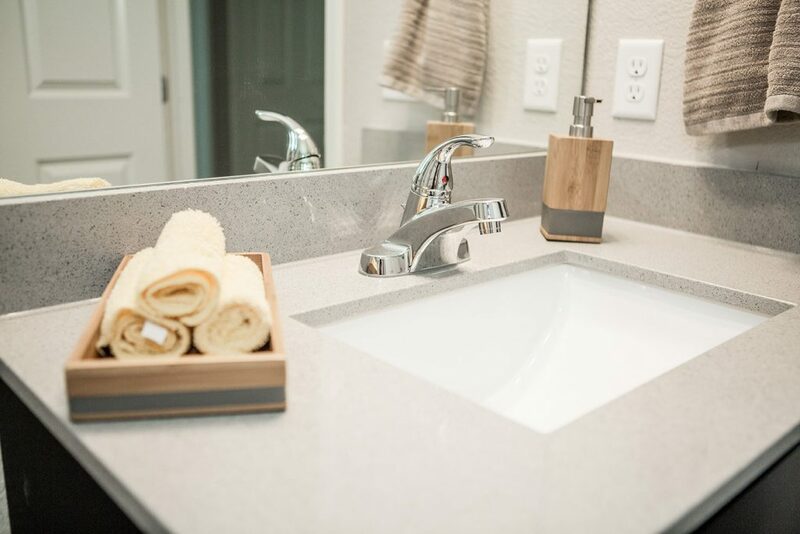 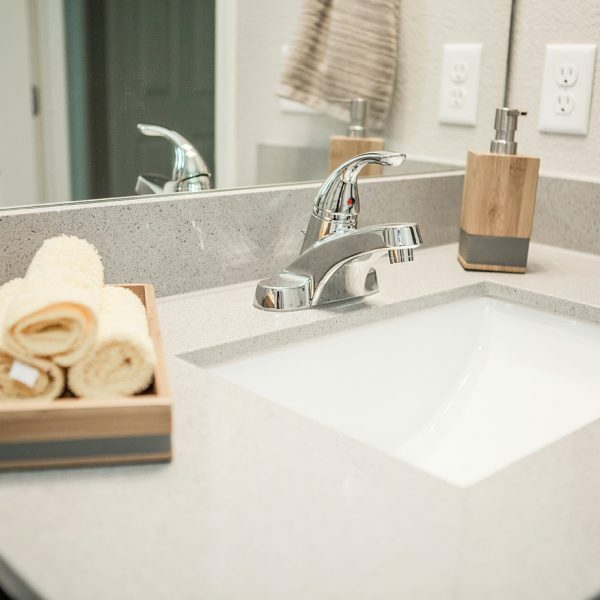 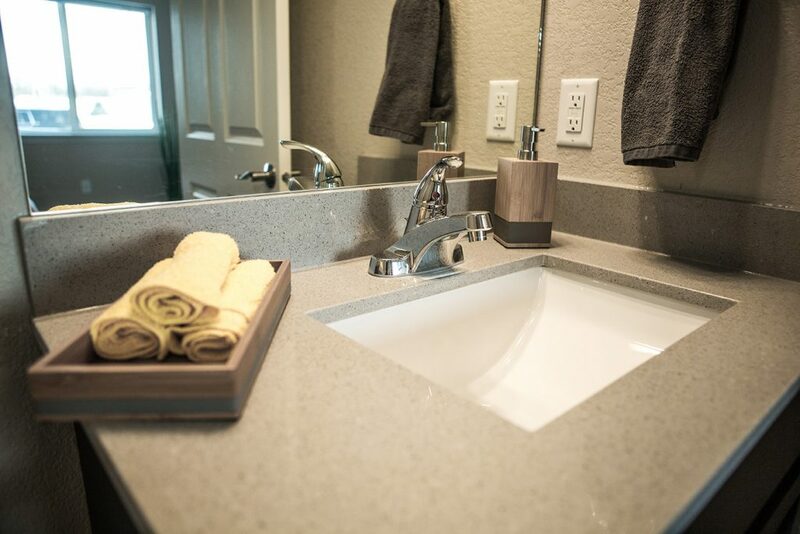 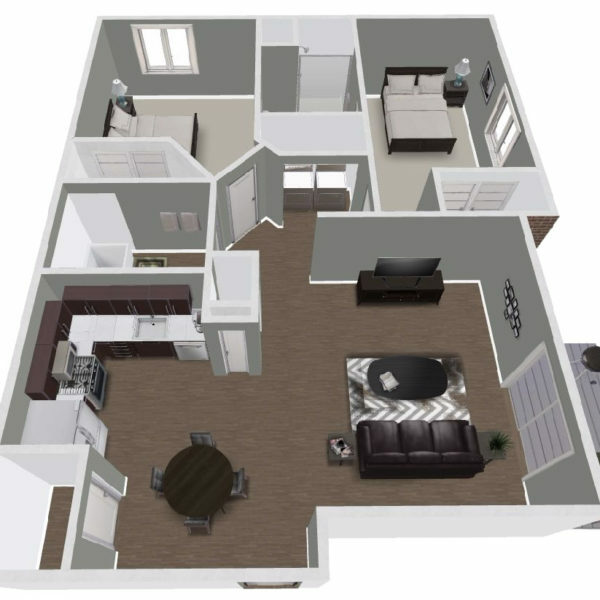 Each condominium unit at Meadowbrook Condos is 1,054 sq ft with 2 bedrooms and 2 bathrooms. 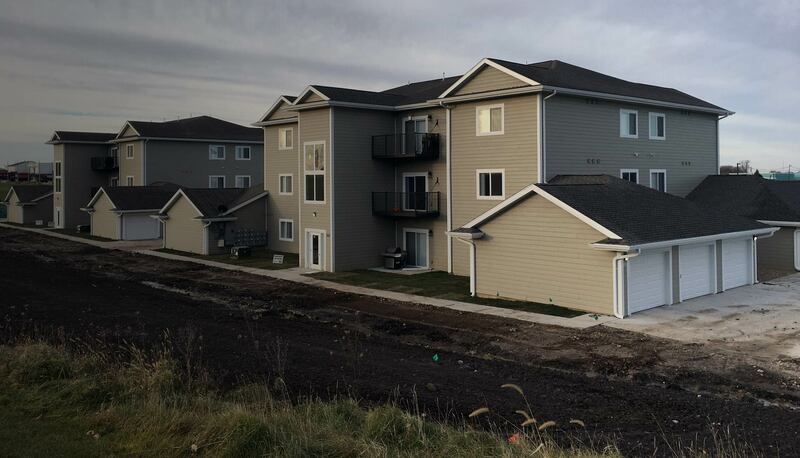 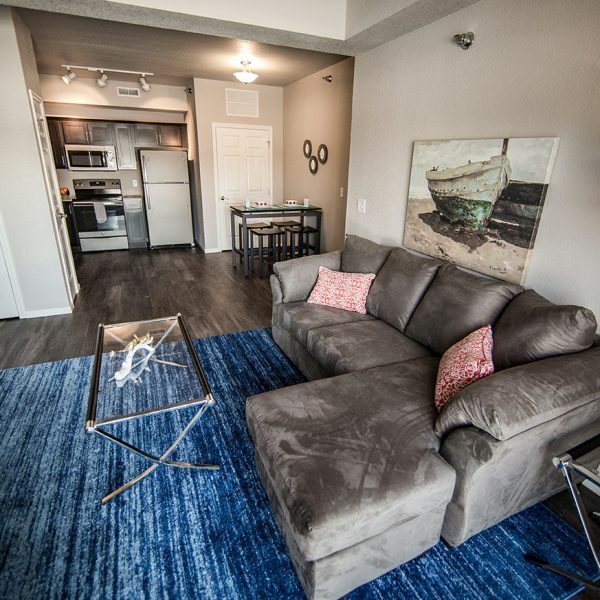 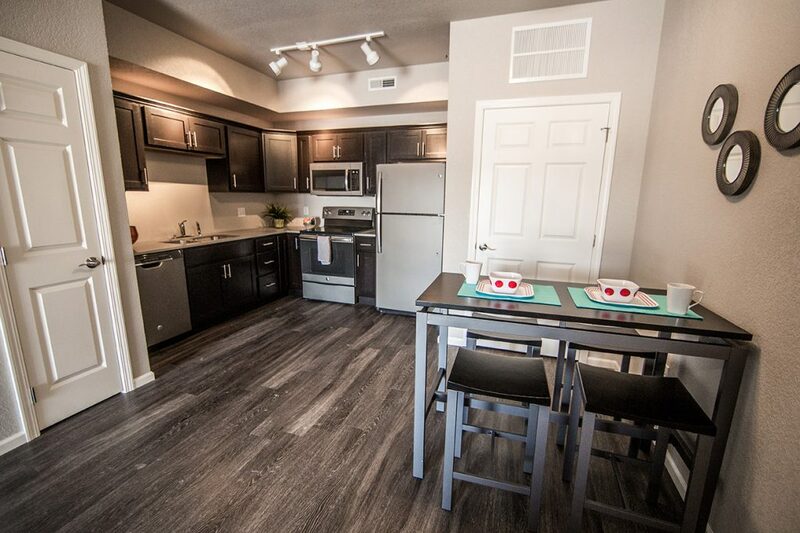 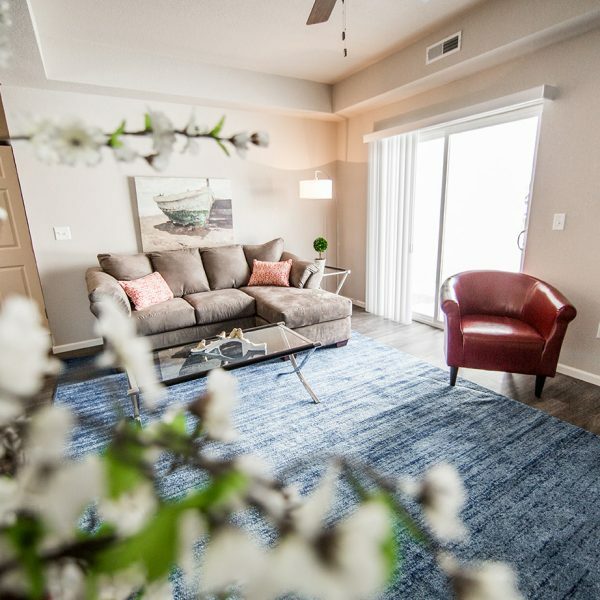 These apartments in Hudson Iowa will feature an open concept kitchen and living room area, opening out to a metal balcony or patio. 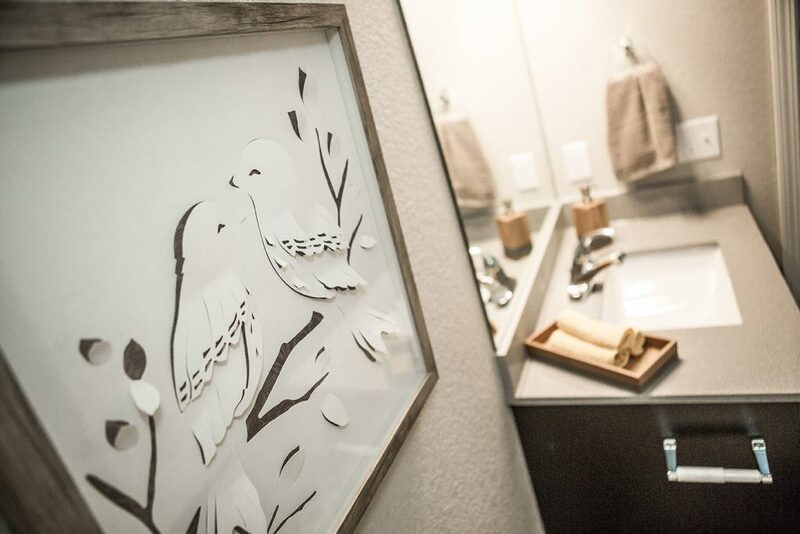 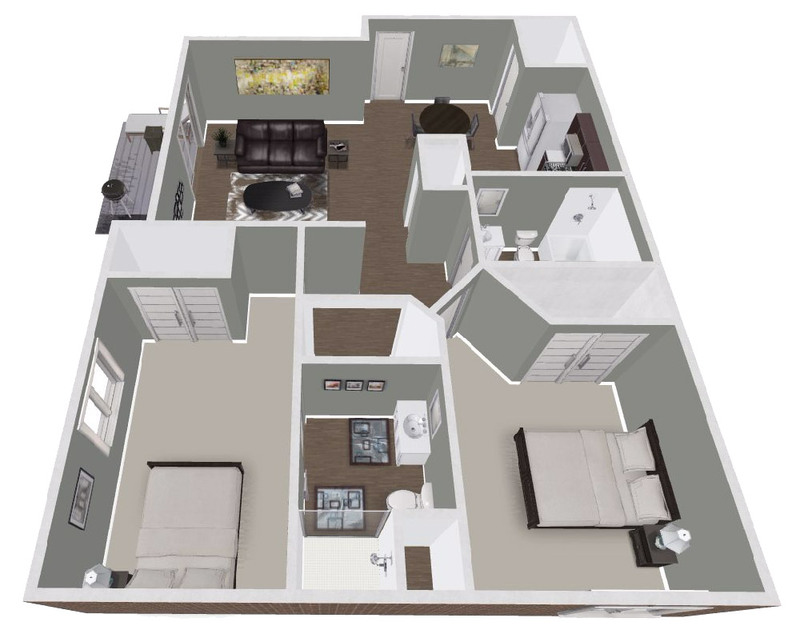 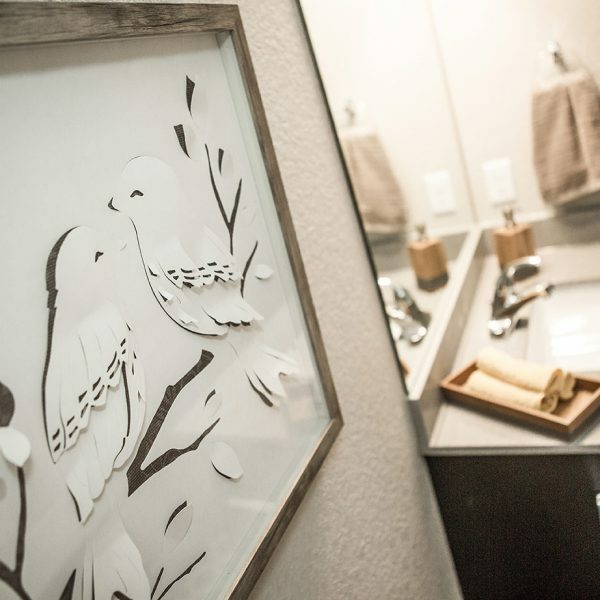 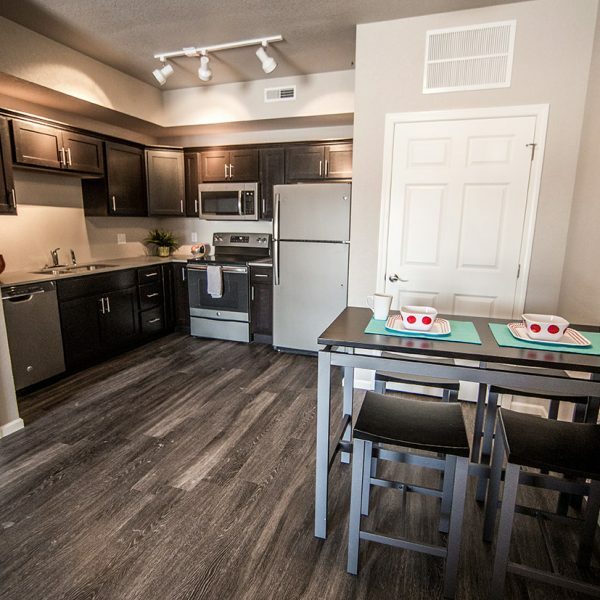 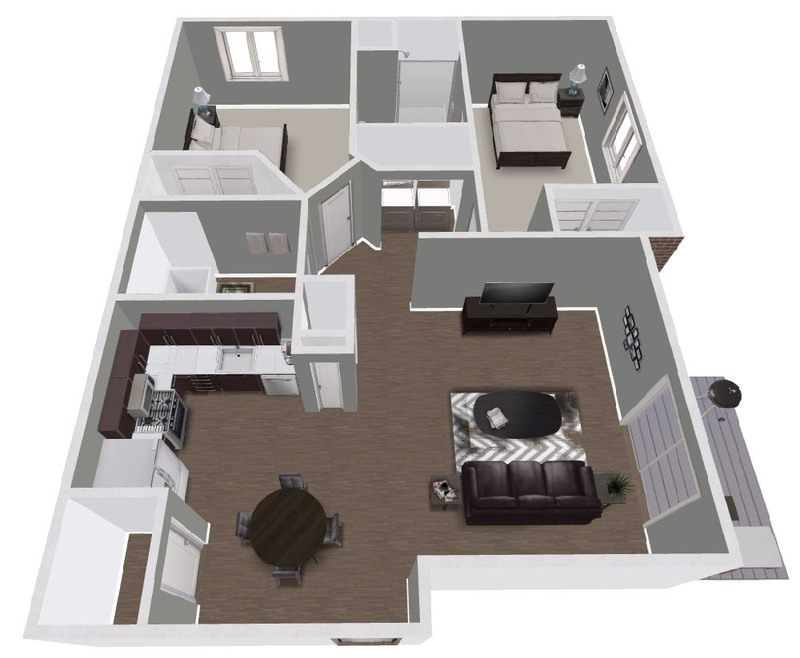 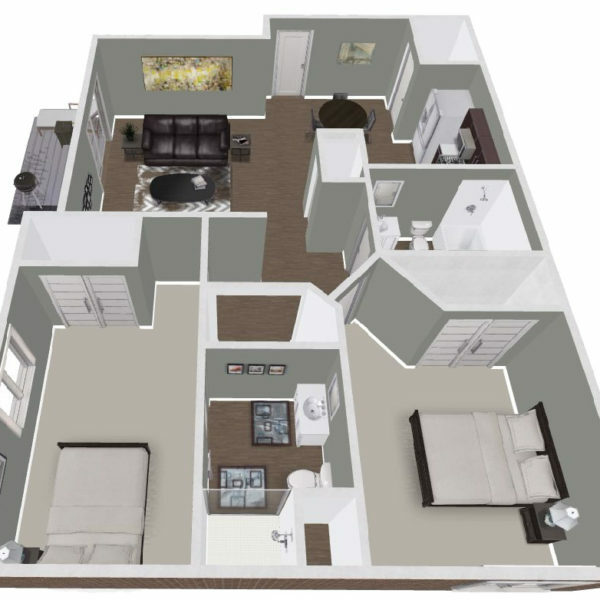 Learn more about the Meadowbrook floor plans below. 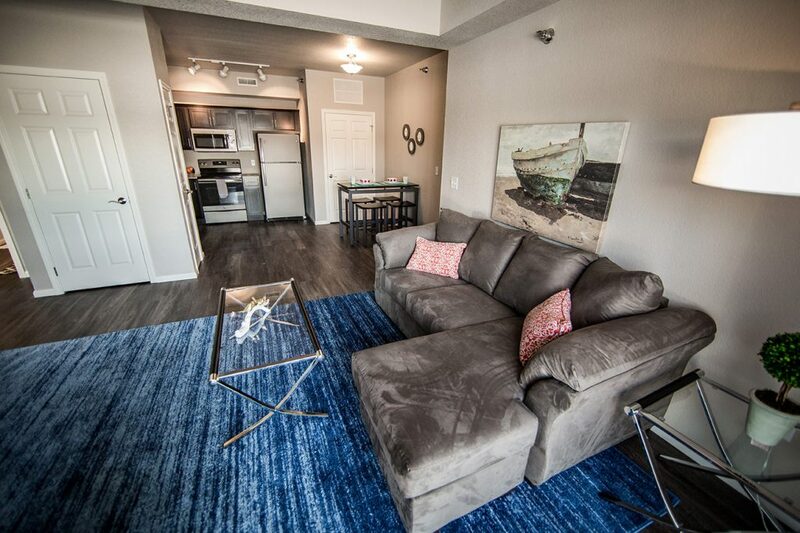 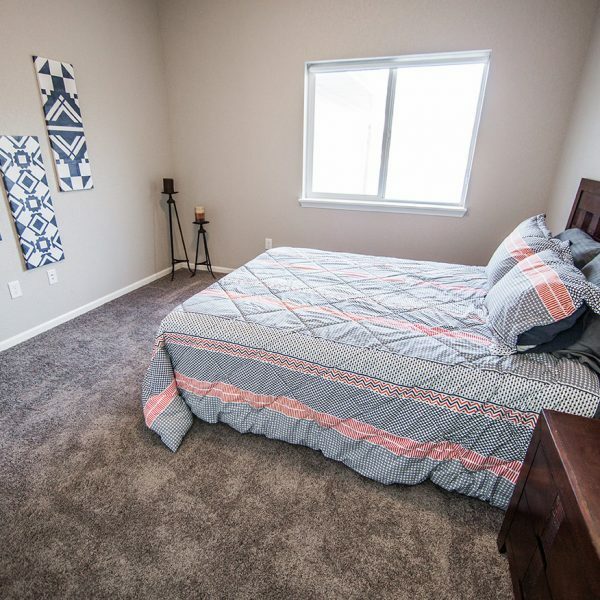 Units start at $1,000/month comes with a single stall garage. 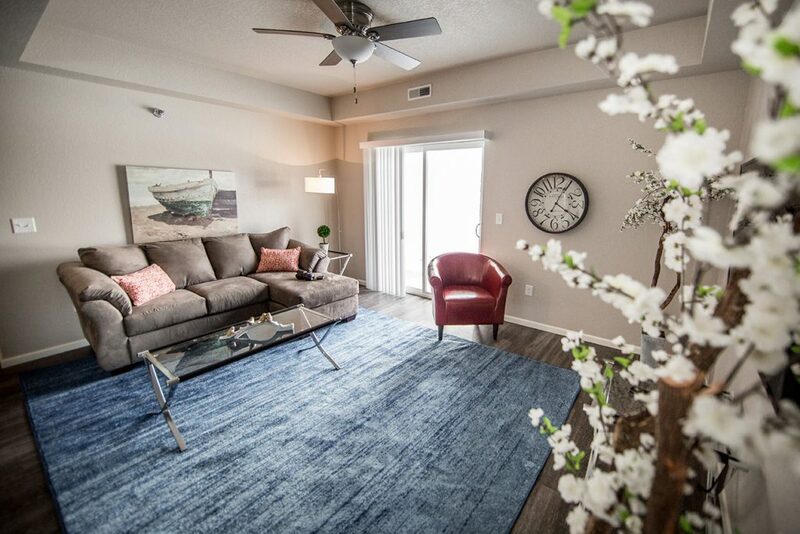 Upon entering Meadowbrook Condos you are welcomed by an open concept floor plan. 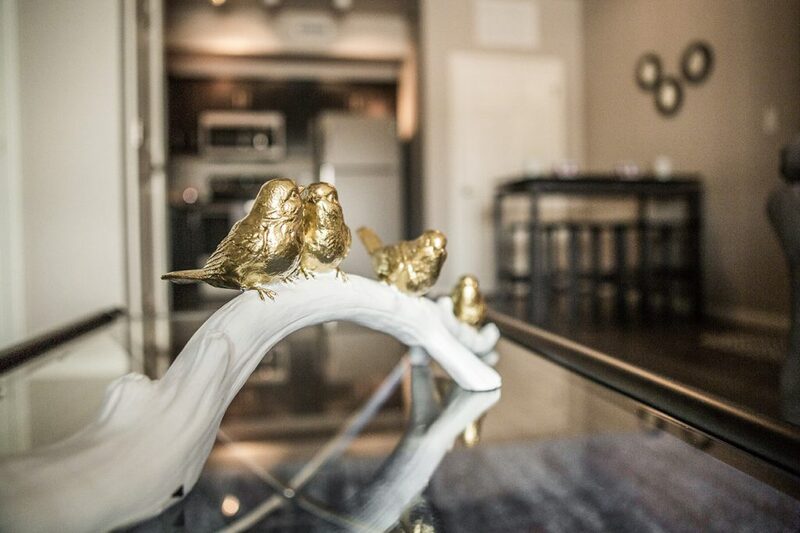 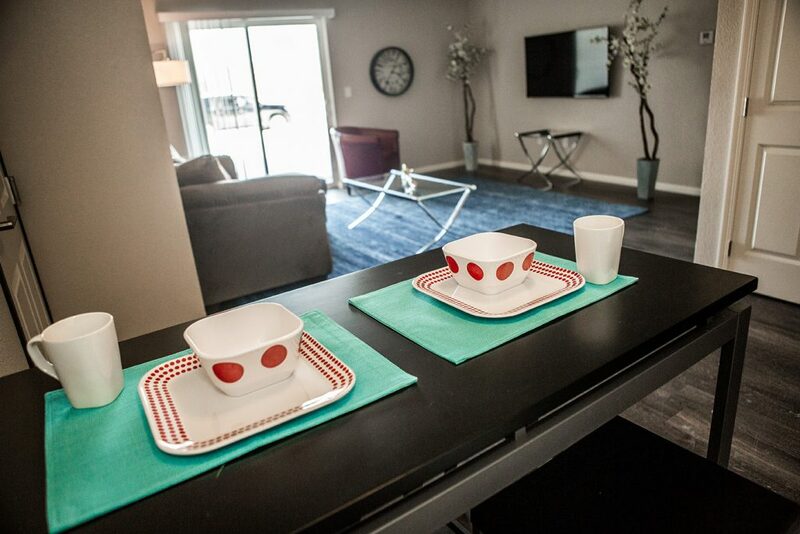 Stepping into the kitchen, these condos open up to the living room area. 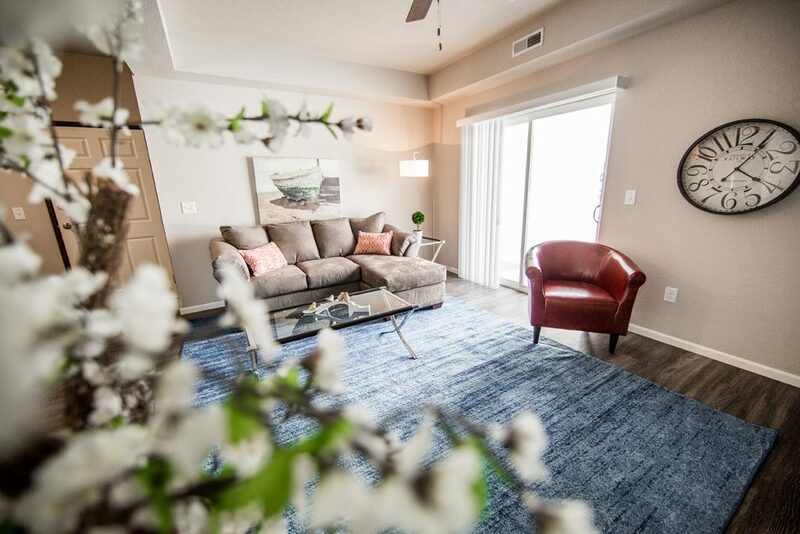 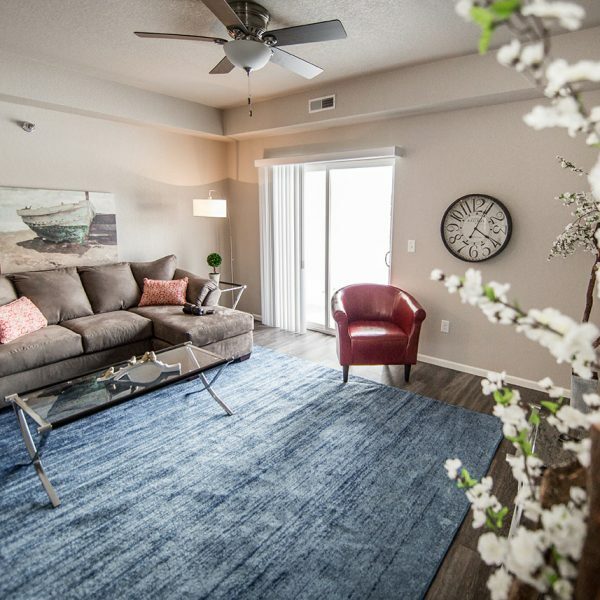 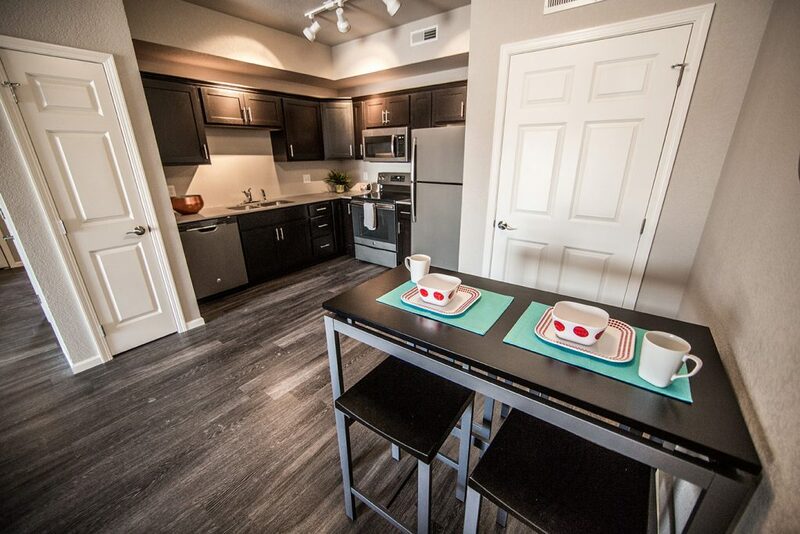 This living space flows out onto the metal balcony or patio, a standard amenity with all of the units at Meadowbrook. 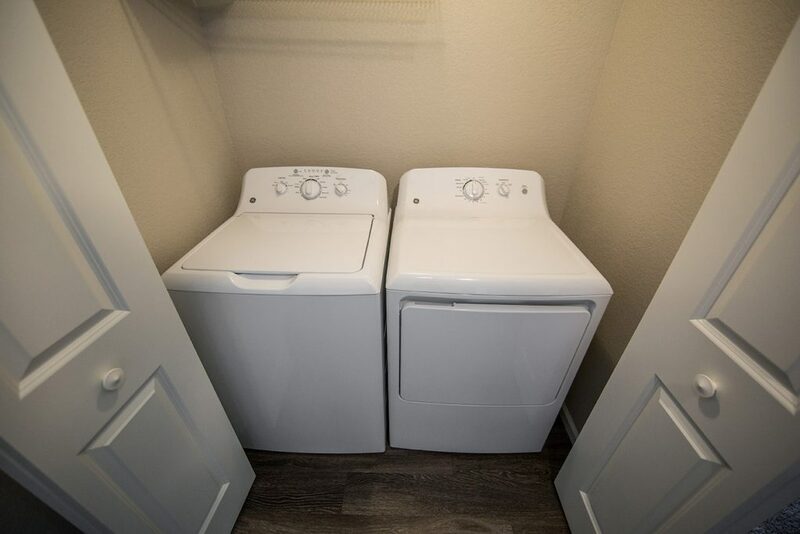 Walking on past the living room takes you into a hallway which leads straight to the in-unit laundry area. 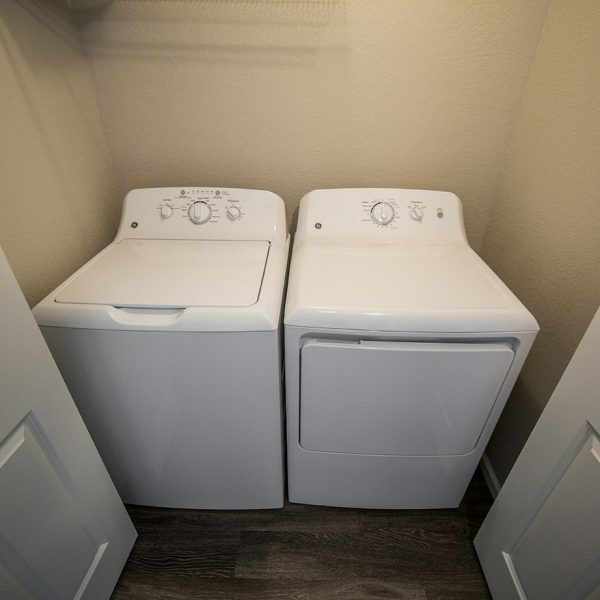 Every unit at Meadowbrook includes a washer and dryer. 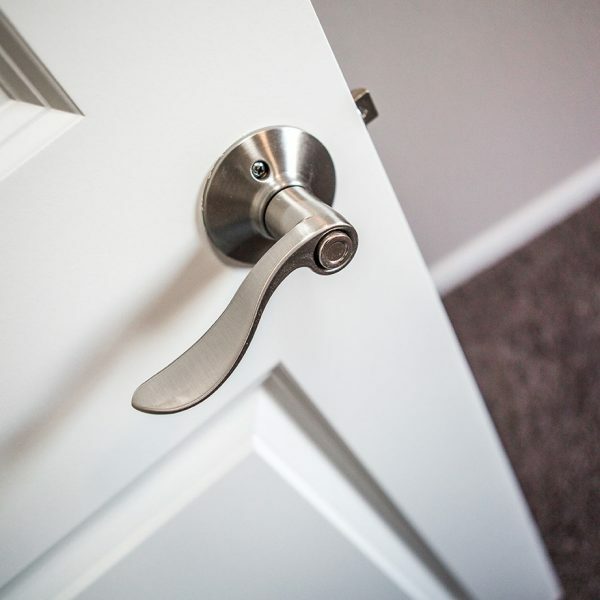 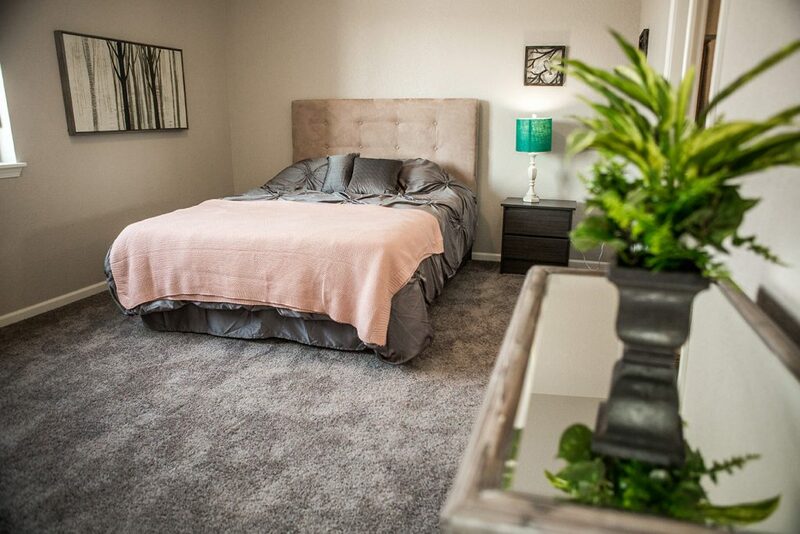 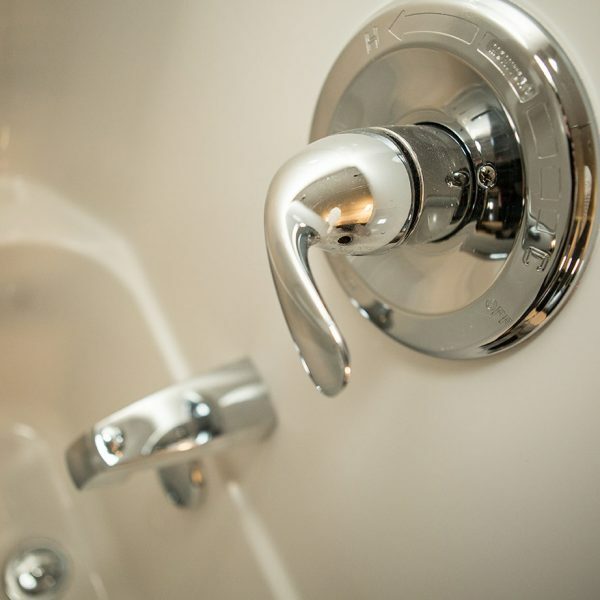 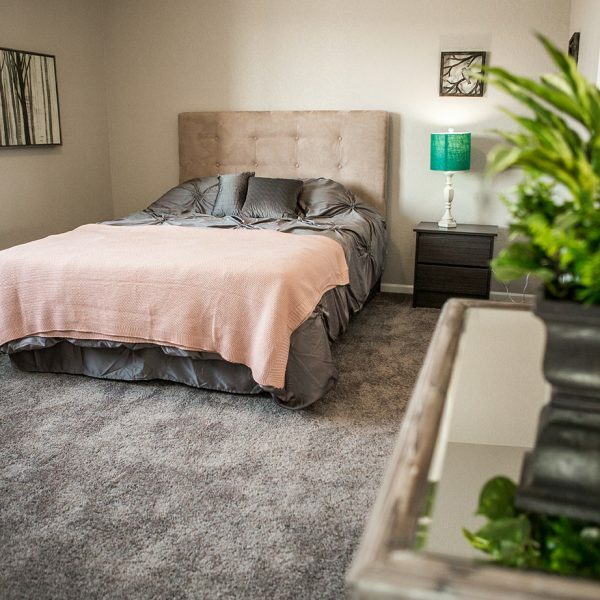 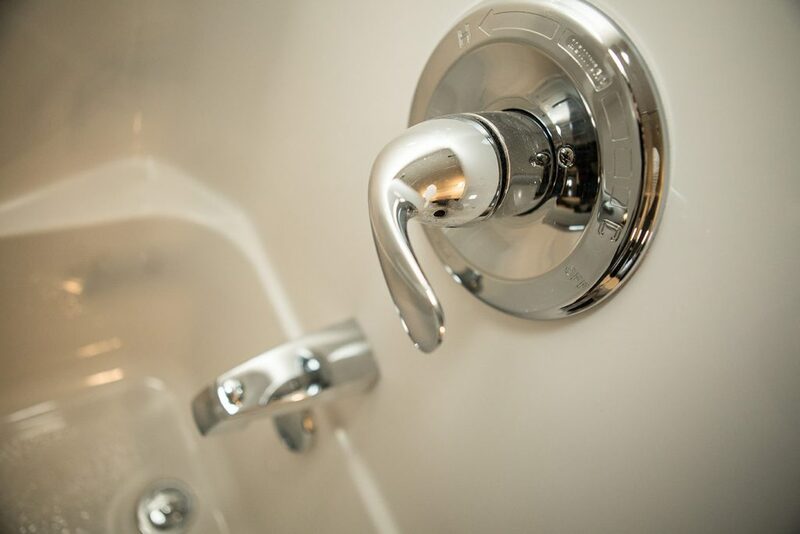 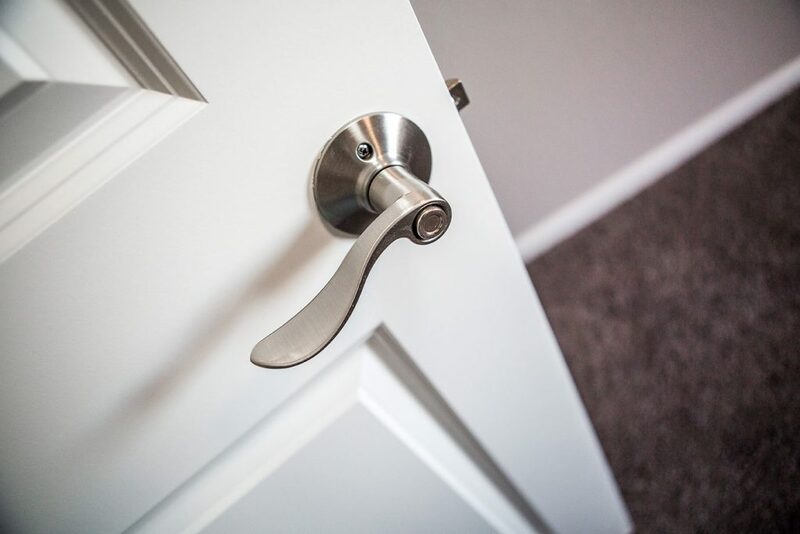 Turning right will take you to the first bedroom which features an ensuite bathroom. 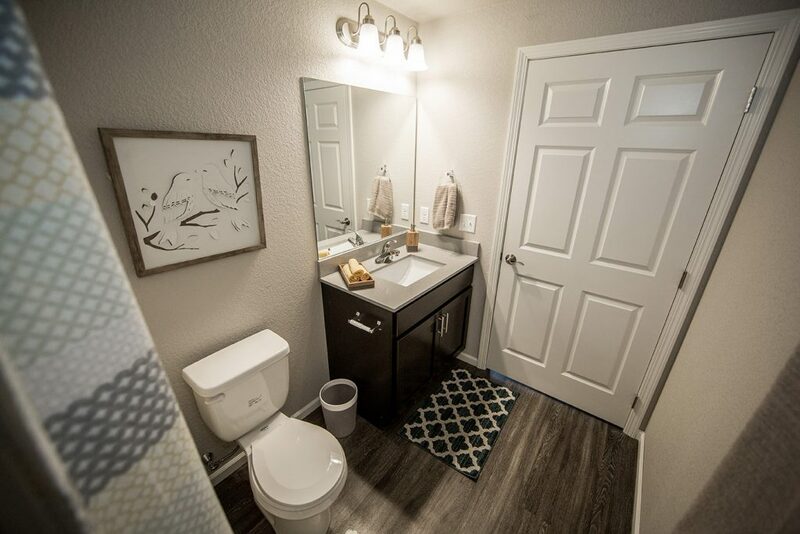 Turning left will take you to the second bedroom or the second bathroom, accessible from the hallway. 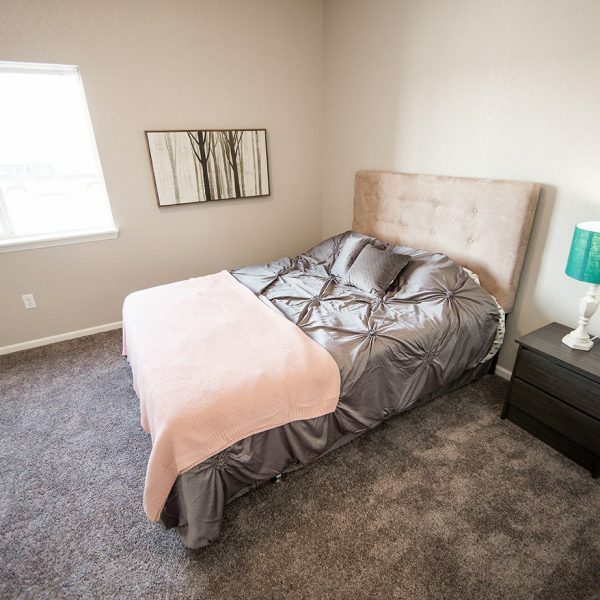 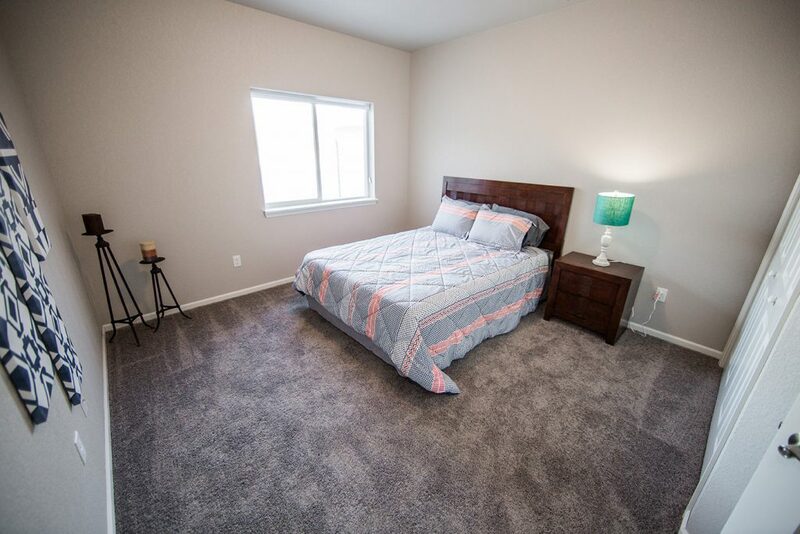 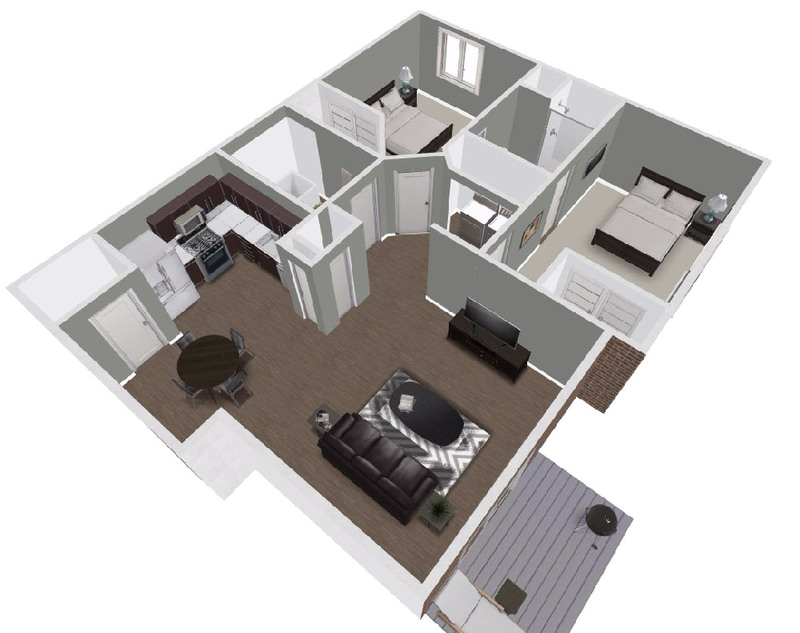 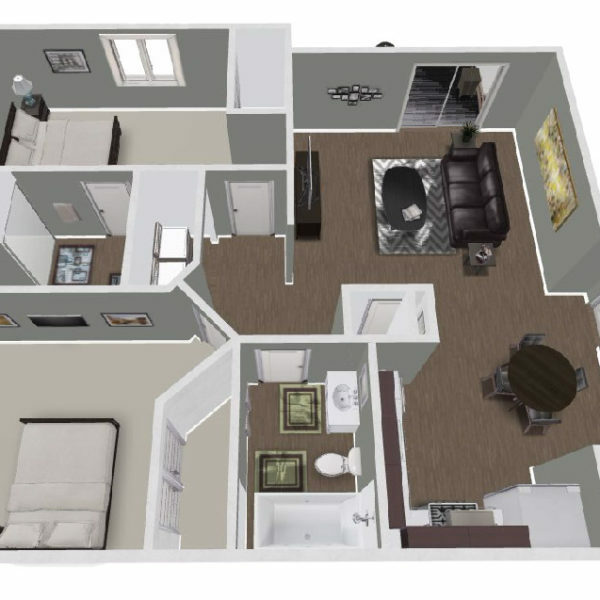 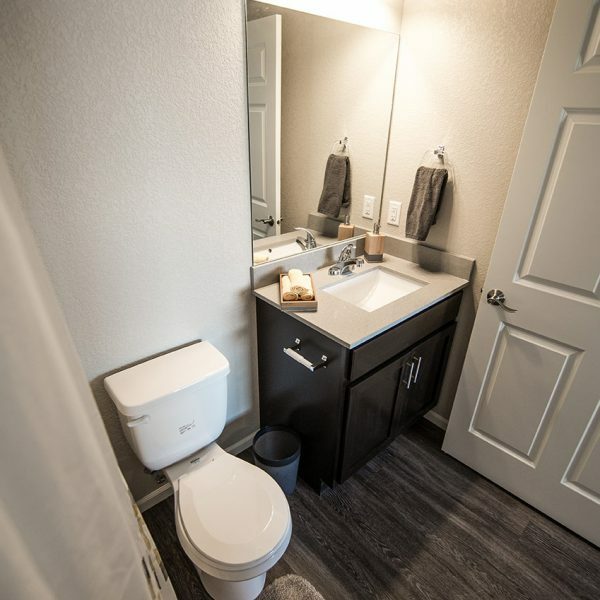 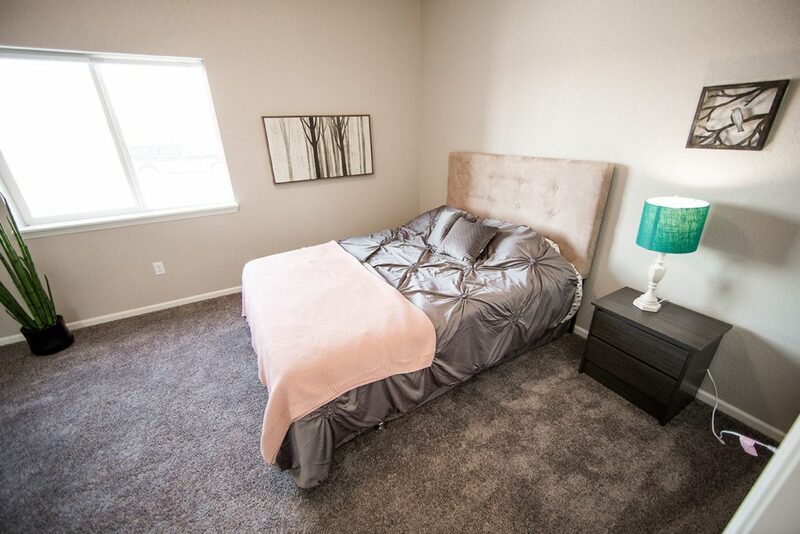 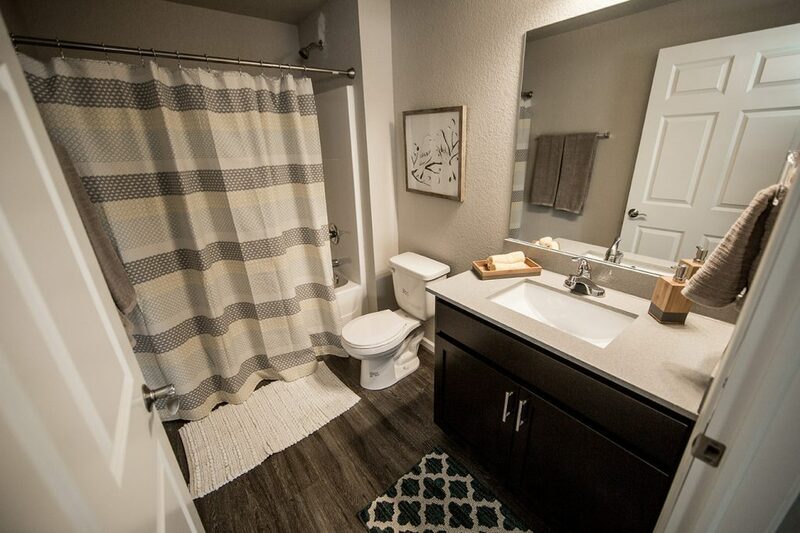 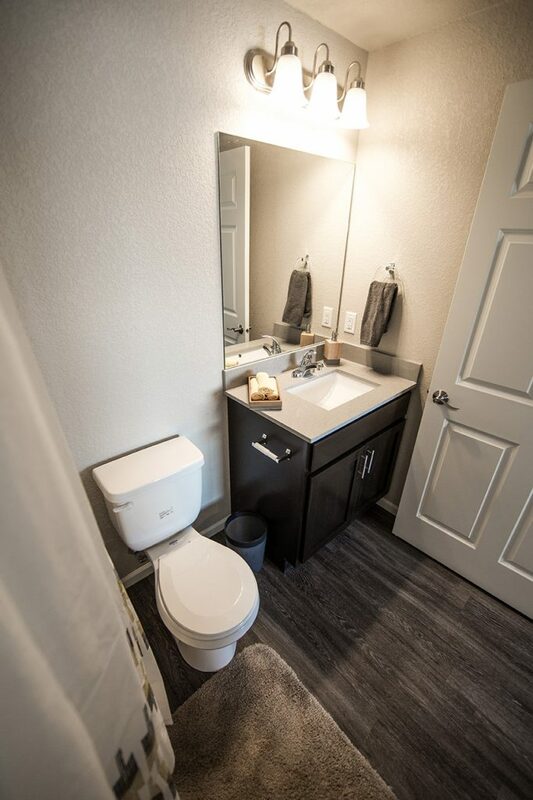 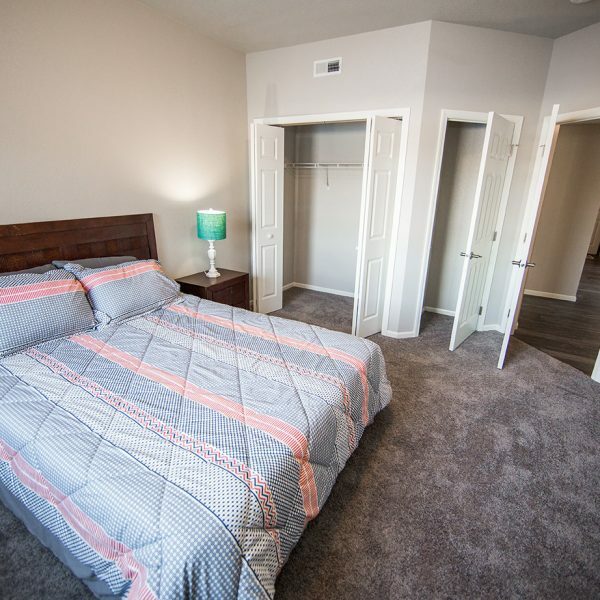 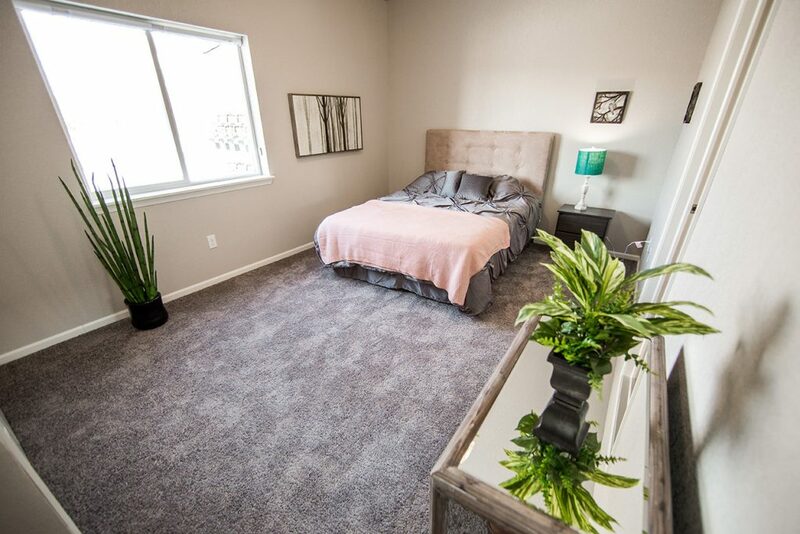 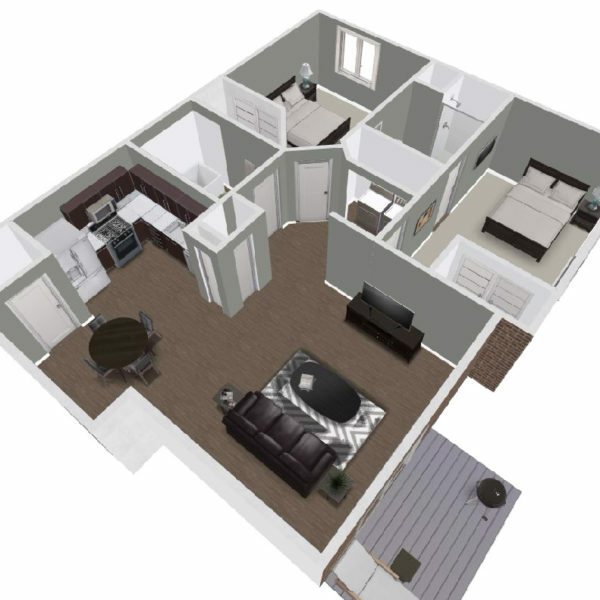 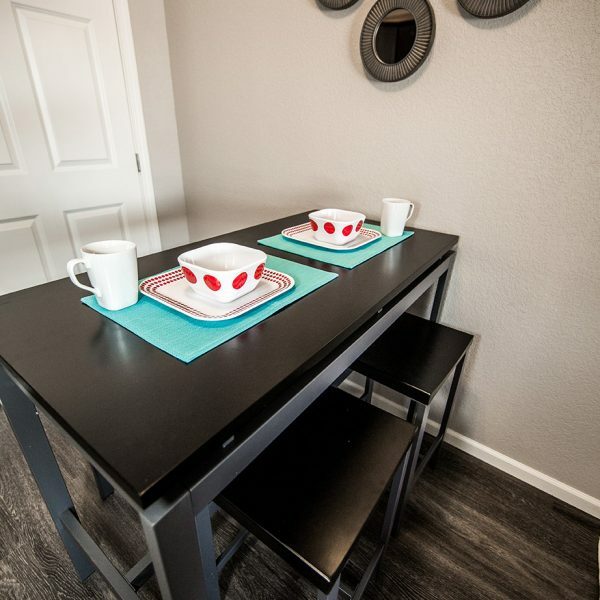 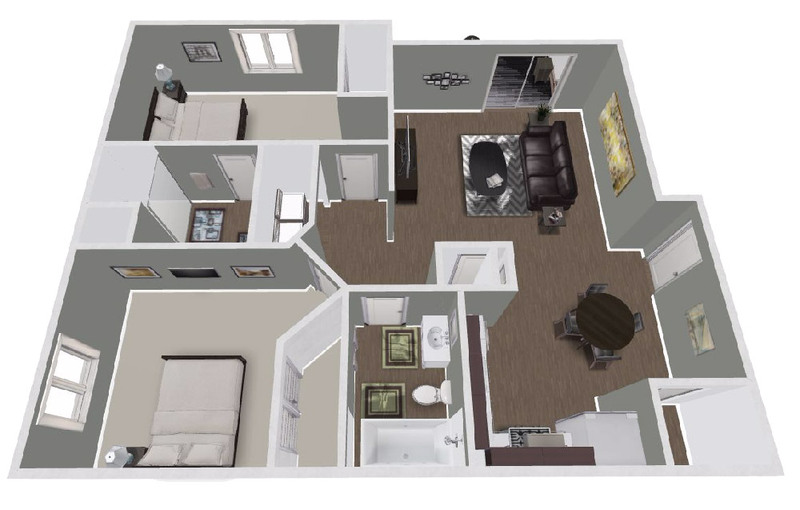 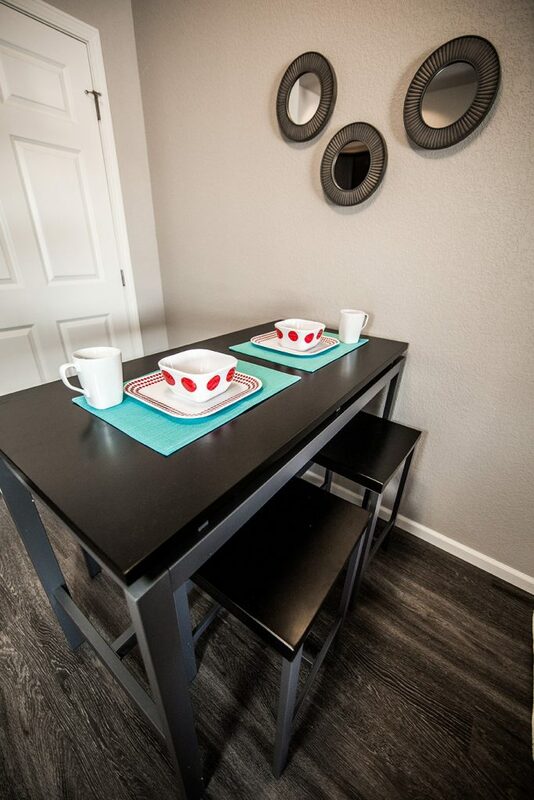 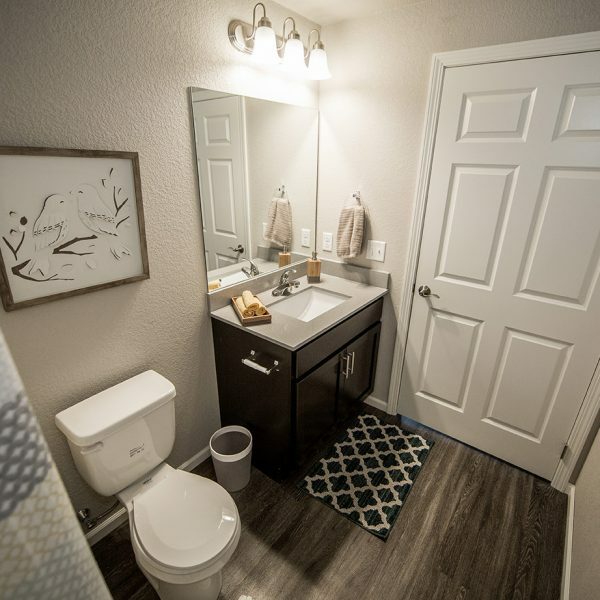 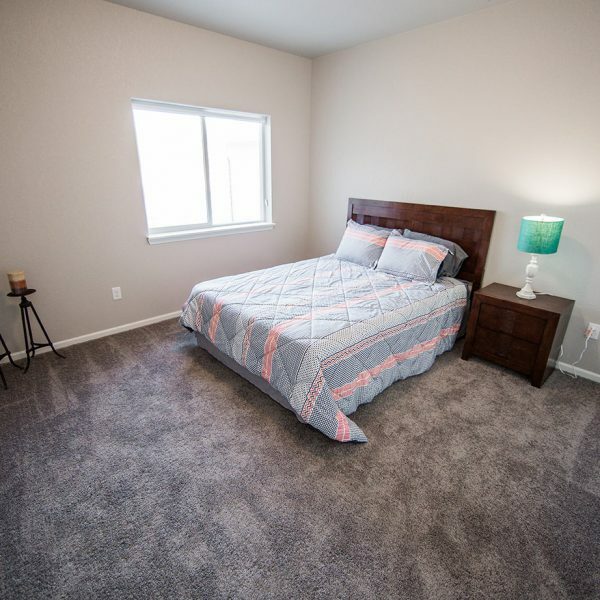 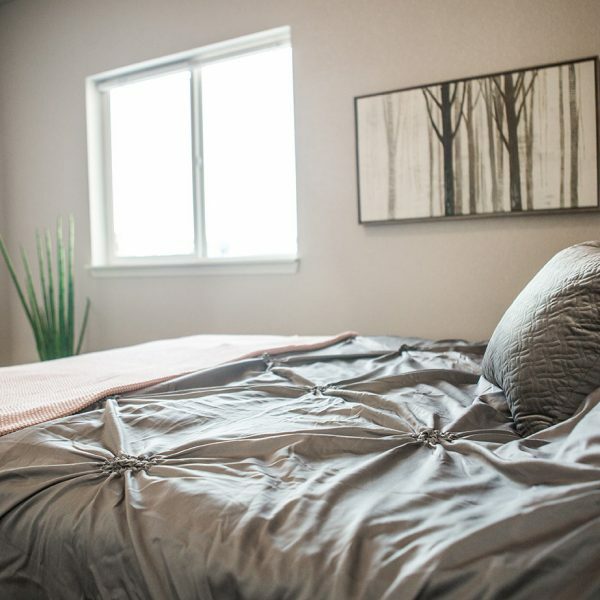 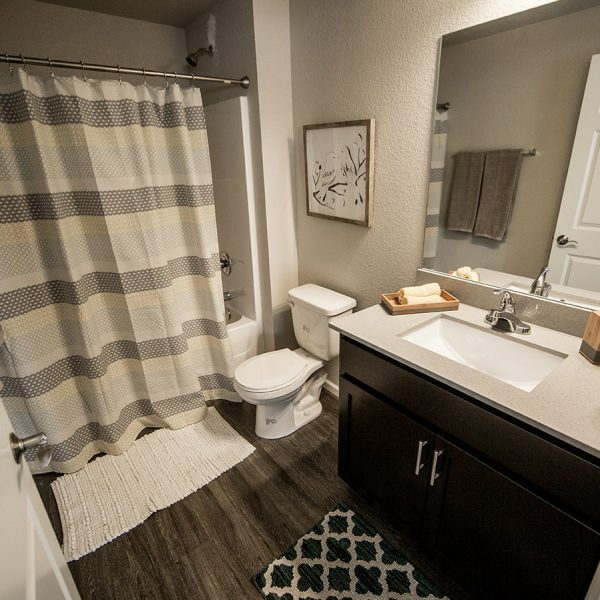 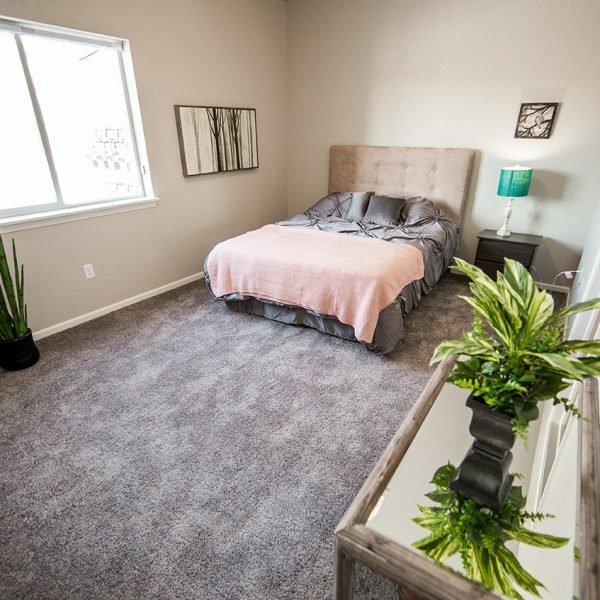 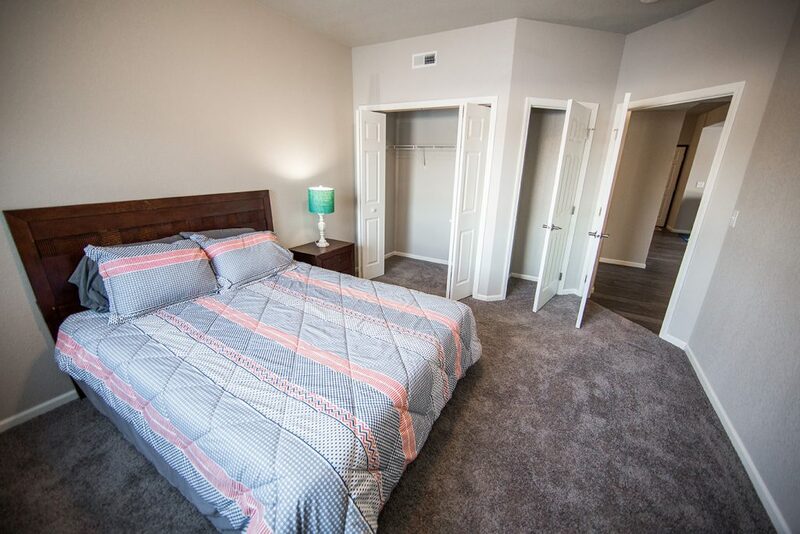 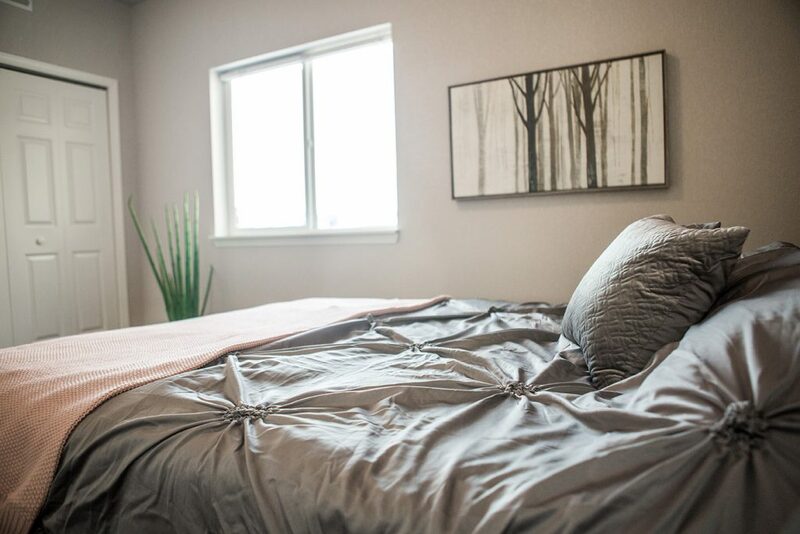 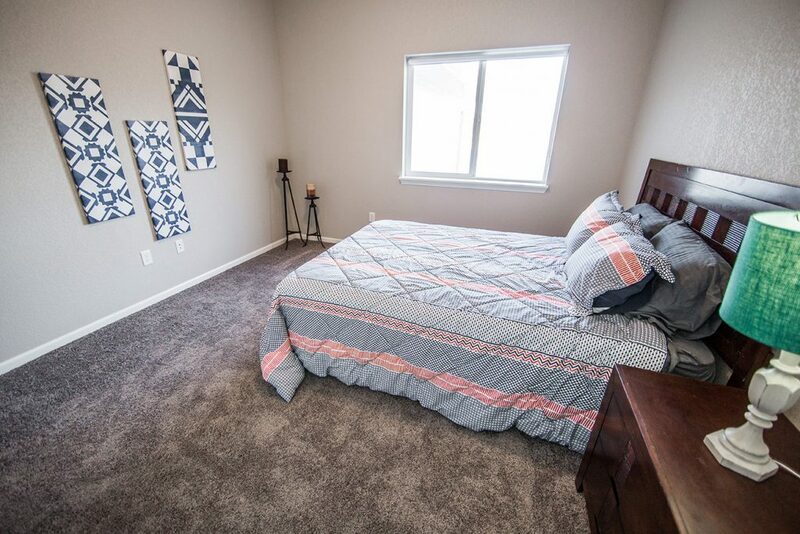 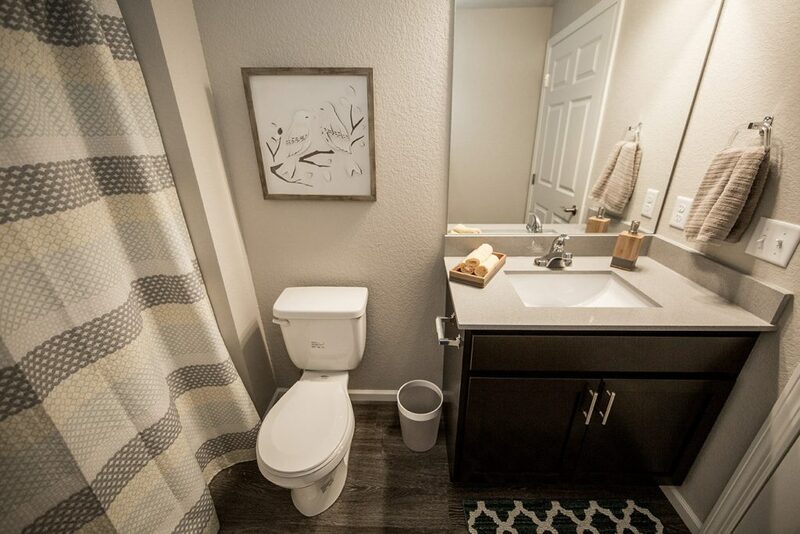 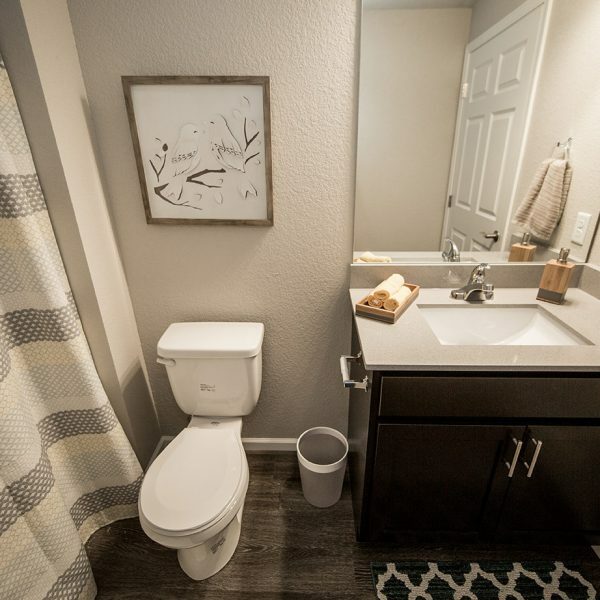 The master bedroom in these 2 bedroom 2 bathroom units is 11′ X 14’5″, and the second bedroom measures in at 12′ X 11’9″. 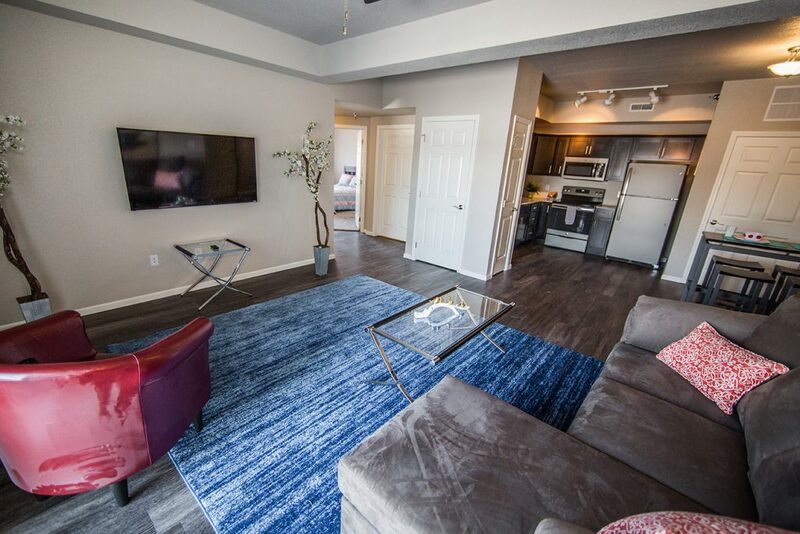 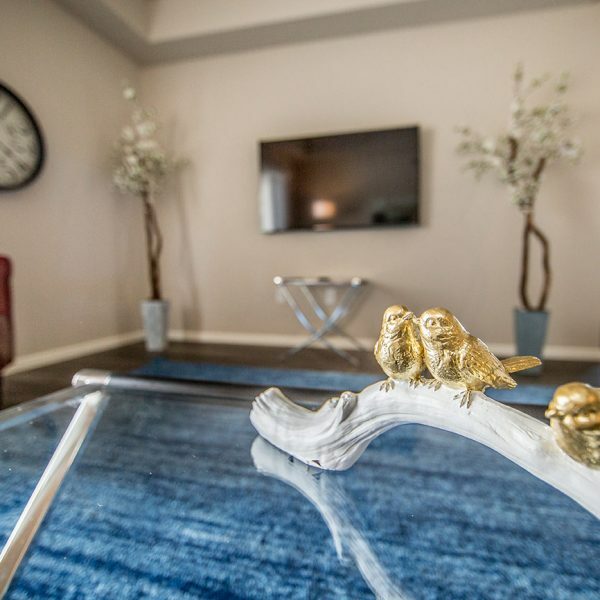 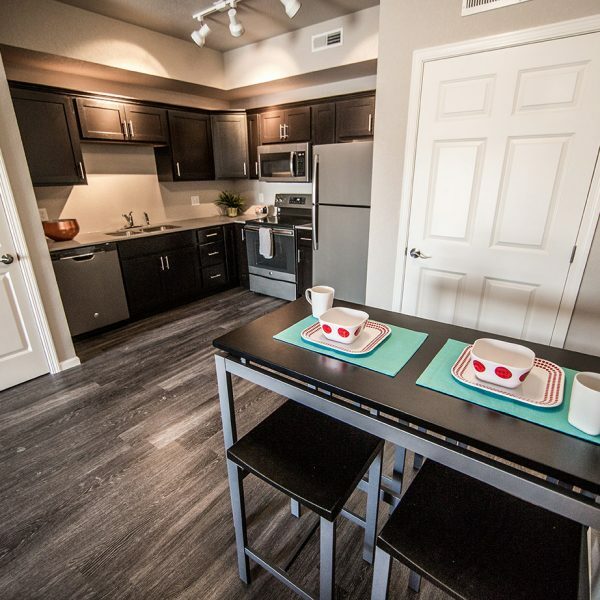 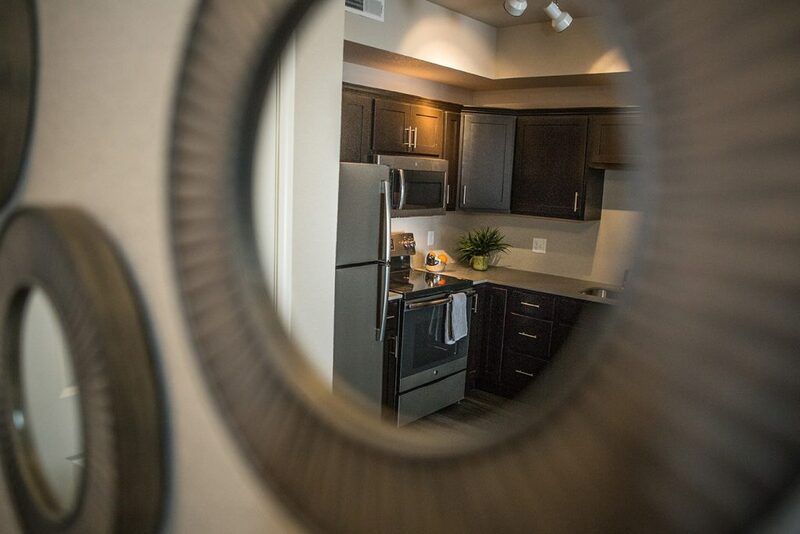 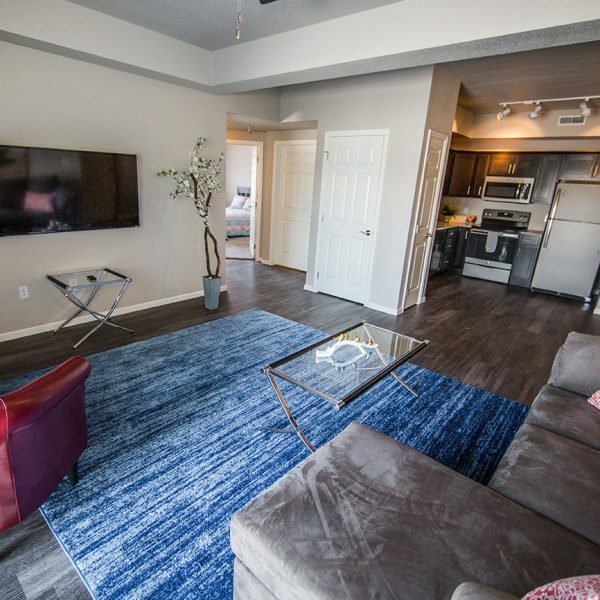 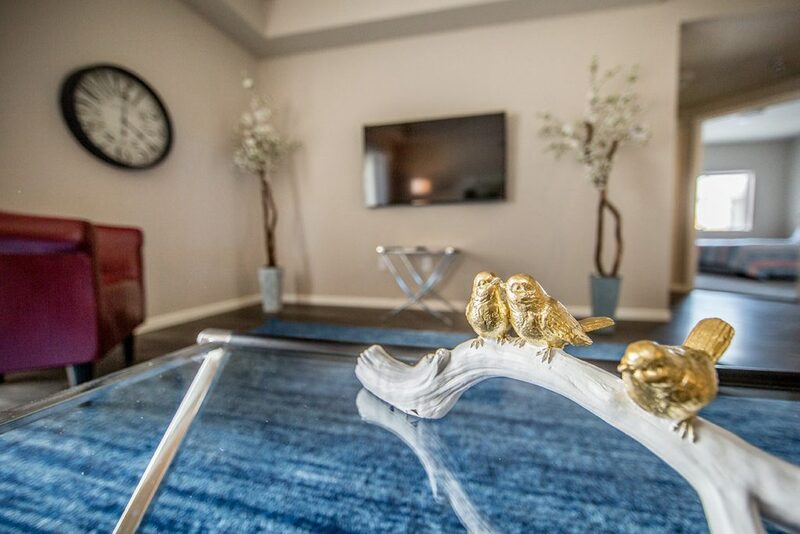 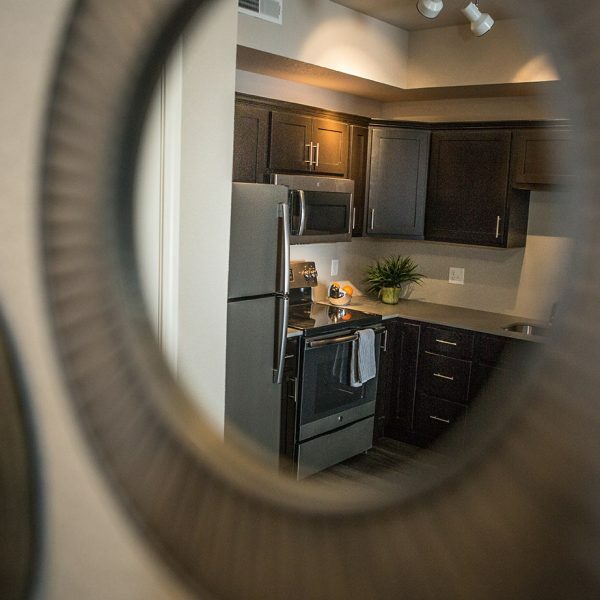 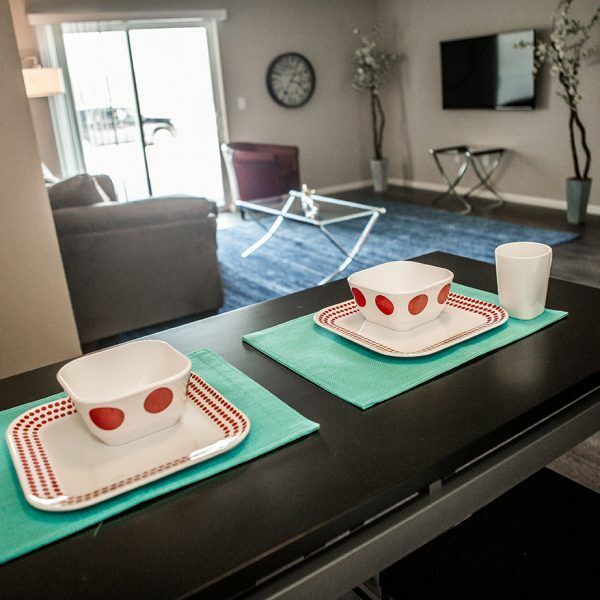 View interior photos of Meadowbrook Condos.